Even with Tom Brady and most of his cohorts watching from the sidelines, the Patriots’ offense operated at near maximum efficiency in the team’s preseason opener. 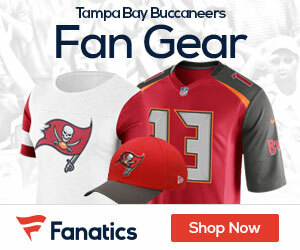 The star quarterback should now get his chance to take the controls when he makes an expected 2011 debut in Friday’s game against the Buccaneers from Raymond James Stadium. Despite head coach Bill Belichick sitting out over 30 players — a list that included Brady, wide receivers Chad Ochocinco, Wes Welker and Deion Branch and the entire projected offensive line — the Patriots were still able to do plenty of damage in last week’s matchup with Jacksonville. New England’s cast of benchwarmers racked up 476 total yards and 335 through the air en route to a 47-12 rout of the Jaguars. Backup quarterbacks Brian Hoyer and Ryan Mallett combined to complete 27-of-40 throws on the night, with the rookie Mallett hitting on 12-of-19 passes for 164 yards in an splendid intro to the pros. Mallett was one of two third-round selections by the Patriots in this past April’s draft to shine against the Jags. Running back Stevan Ridley scored three touchdowns and amassed 111 yards from scrimmage (64 rushing, 47 receiving) along with a team-best seven receptions. Brady, the NFL’s reigning Most Valuable Player, won’t likely get too many reps on Thursday before turning things over to Hoyer and Mallett, however. Ochocinco, meanwhile, is tentatively slated to see his first game action as a Patriot since the colorful wideout’s trade from Cincinnati in late July. New England fans may have to wait a bit longer for their first glimpse at the team’s two other notable offseason additions, however. Defensive lineman Albert Haynesworth has practiced sparingly in camp for undisclosed reasons, while veteran end and ex-New York Jets Shaun Ellis has yet to be activated from the physically unable to perform list. The youthful Buccaneers were impressive in their own right last week, dominating a Kansas City team that was albeit using its preseason lid-lifter as an extended scrimmage by a 25-0 count last Friday at Arrowhead Stadium. Tampa Bay limited the Chiefs to a mere 137 total yards and compiled six sacks on the night, while also forcing and recovering a pair of early fumbles that led to scoring drives. On offense, quarterback Josh Freeman threw for 73 yards on 9-of-13 passing while running for a touchdown in a little over a quarter’s worth of action. He and the majority of Tampa Bay’s healthy starters figure to be on the field for most of the first half in this contest. Defensive tackle Gerald McCoy, the No. 3 overall pick by the Bucs in the 2010 draft, is expected to play on Thursday for the first time since suffering a season-ending torn biceps last December. Two other second-year starters — wide receiver Arrelious Benn (torn ACL) and defensive tackle Brian Price (groin) — are likely to be held out for at least another week, however, as the pair continues rehabbing from their respective surgeries. Tampa Bay has had the upper hand in its all-time preseason series with the Patriots, winning seven of the eight such meetings between the clubs. The most recent one took place at Raymond James Stadium in 2008, with the Bucs claiming a 27-10 decision. New England prevailed in the last regular-season matchup, cruising to a 35-7 victory at London’s Wembley Stadium during the 2009 season.